When my husband was a teenager, he worked weekends as a dishwasher and cook’s helper at a local lodge. There was a big event one weekend and the owners hired an extra helper and asked my husband if he knew of anyone who wanted to earn some money. He volunteered his younger brother. During the course of the evening, my husband found himself short tempered and demanding of his younger brother. Nothing he did was right, he was too slow, etc. Meanwhile, the other kid hired for the evening was doing about the same job but my husband treated him with a lot more kindness and respect. Suddenly, he realized that he was only picking on his brother because he could but was being polite to a complete stranger. It brought him up short and he started thinking about how we often treat our own family less worthily than strangers. I suppose family can’t leave and we are stuck with each other . . . but that shouldn’t be the mind set. Now that he is a grown up with children, he always admonishes children to treat their siblings as strangers if they can’t find it in their heart to treat them like family. The first time he made this announcement, it stopped them short until he explained it to them. No, they still aren’t perfect children but they have come to realize who should be first in their hearts. I remember a situation from my own childhood. I must have been around five or six and my mother, as always, was busy baking for some special event at our parish. She was known for her baking and always called upon or volunteered herself to help out. I had witnessed these frenzied baking sessions before and knew to keep clear of the clouds of flour and motherly muttering as she tried for perfection. The delightful smells and pretty cookies finally got to me and I quietly asked, “Mom! If you have a cookie that doesn’t look good or is burned, can I have it?” There was a sudden lull in the culinary storm. My mother sighed and a tear crept down her cheek and she handed me a little plate with several of her most perfect creations. She, too, had gotten lost in the process and, perhaps, the ‘fame’ of her baking. I guess I had made her realize that family should always come first. These episodes in our lives seem to pop into mind around New Year’s and reminds me to share the best that I am with the people who mean the most to me in this life. My husband’s story reminds me to respect the ones who love me the most. No, I’m far from perfect but I’m remembering more often to try! The lust for power is bought in many ways. Every king on a throne does his best to neutralize or destroy potential threats to his ruling power. Power is not always a kindness. This was recorded early on in Jesus’ history on earth. The Three Kings, who made the long journey to see the newborn baby said to be the King of the Jews, related the reason for their journey when they stayed with Herod, the Roman-appointed King of the Jews. Now, Herod enjoyed his appointment and would do anything to continue in that capacity. When the Three Kings told him they were seeking the newborn King of the Jews, he immediately went into planning mode to protect his title in the land. 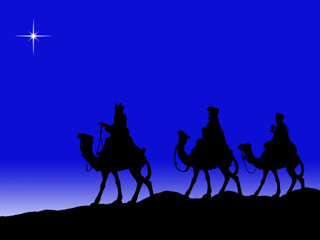 He asked the Three Kings to be sure and stop by on the way back to tell him where they found the baby so he, also, could pay homage. God, however, was in charge of this and sent an angel to tell the kings to return home another way and not confide in Herod as to the whereabouts of the Baby Jesus. These martyred babies in Bethlehem are known today as the Holy Innocents and their feast day in the Catholic Church falls on December 28th. In many ways, they can be considered some of the first martyrs as their lives were given up to try and find and kill the Baby Jesus. Although the slaughter of the babies in Bethlehem should be an atrocity of the past never to be repeated in modern history, this has not been the case. Abortion murders every day and some of these babies are late-term and should have survived outside the womb. Their tender bodies are sold and experimented on by, in reality, heartless people. The current attacks of radical Muslims are renewing this with their treatment of young children who are not of their Muslim religion. Young children are being tortured and beheaded. Little girls are being treated in horrendous ways. One could even go as far as to say that the politically correct agenda and the schools that are initiating classes in Sharia Law, etc., are a way of attacking the hearts and souls. When we read the passages about the Holy Innocents, we shouldn’t take them as something that happened long ago. Instead it should move us to prayer for the ongoing persecution of the innocent that still happens today. The Feast of the Holy Innocents now has a lot more impact. It is getting rather scary how State politicians in California want to turn us basically into a big brother state when it comes to our cars. Transportation in CA is difficult to regulate fairly as due to employment issues, many have to travel a lot further than others to maintain an income that provides for their families. If the state starts taxing us by the mile, it eats away at necessary income and gives the state control over every mile we drive and where those miles take us. And, besides just the basic taxation on our drives to work, what about driving vacations up the coast, to Disneyland, etc. Seems such a law could impact all people and all businesses to an extend. Will the politicians get a ‘free ride’ because they use their cars for business while we are merely being extravagant in coping with our day-to-day life?